Earn 779 loyalty points when you order this item. 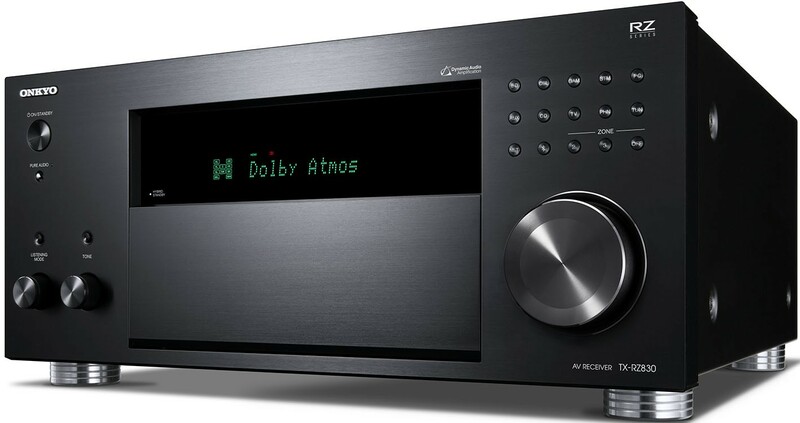 Onkyo TX-RZ730 is a budget-friendly 9.2-Channel Network AV Receiver with the core power needed for 7.2.4-ch Dolby Atmos or DTS:X playback at THX Certified Select cinema-reference volume. It’s easy to configure a reliable home-cinema layout and audio distribution setup that suits you. Premium AccuEQ Advance room-acoustic calibration with multi-point measurement ensures balanced sound. 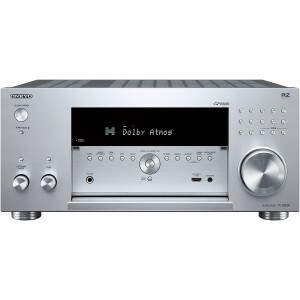 Onkyo's RZ Series takes performance and build-quality to the next level for a reference experience. Custom high-current transformer, customised block capacitors and other upgraded parts deliver 5Hz–100kHz frequency response for wall-shaking bass, clean treble and fast dynamics. RZ Series supports a variety of home cinema and multi-room layouts to suit you while details such as 12V trigger, RS-232C, IP Control and IR input ease home integration. The DAA philosophy places less emphasis on lab measurements and more on how the sound actually feels in real life. High-current drive and expert tuning deliver natural transient response, the key to involving sound. A deep power reserve arrives instantly when action explodes on screen, adding adrenaline to the film experience. Accuracy and control is maintained with custom transformer and block capacitors, non-phase-shift amp circuitry, and discrete output transistors. With VLSC noise filtering (Front L/R) for improved fidelity, DAA is built for compelling sound. DTS Neural:X technology and Dolby Surround find cues in legacy soundtracks and upmix for playback through systems with height channels. Cross-compatible with Dolby and DTS formats, enjoy spatially realistic and natural sound from your existing DVD and Blu-ray Disc library or via movie streaming service. Stream any music from your smartphone, laptop, or PC to the receiver with ease. Control playback with Chromecast-enabled apps from your iPhone, iPad, Android phone or tablet, Mac or Windows laptop or Chromebook. If you have a device with the Google Assistant, you can control music on the TX-RZ730 by voice. DTS Play-Fi technology allows you to enjoy quality music from online services, media server, and mobile device to any number of compatible products using Onkyo Music Control App. DTS Play-Fi technology can synchronise music in every room. With a 5.2-ch cinema layout in Zone 1 (Main), the remaining four channels can drive speakers in Zone 2 and Zone 3. As well as analog distribution, dedicated DACs enable digital sources to be synced across rooms simultaneously, or a unique source to be played in every zone at once. Zone 2 and Zone 3 line-level outputs are ideal for sharing sources to existing hi-fi systems. AccuEQ sets speaker distance, SP level and crossover. In addition, AccuEQ Advance employs multi-point measurement to remove standing waves from your listening space, which compromise audio quality and bass response. The technology also detects and compensates for background noise, such as the hum from an HVAC, to ensure accurate equalization. Get film-like 4K video bursting with bright and vibrant colors enabled by High Dynamic Range (HDR) to your supported TV display or projector. The receiver’s HDMI inputs, Main Out, and Sub/Zone 2 Out pass HDR10, HLG, and Dolby Vision formats through to compatible displays. These terminals support the BT.2020 4K video standard, 4K/60 Hz playback, and HDCP 2.2. Find and stream music from iPad, iPhone, Mac, and PC over the Apple AirPlay wireless audio platform. Further, Amazon Music, Spotify, TIDAL, Deezer and TuneIn are all built into the system GUI making selection easy using Onkyo Controller or Onkyo Music Control App.